You may already have come across this beautiful range of ethically made, hand-knitted cuddly toys. Even if you haven’t, you won’t be disappointed with their latest creations. Blabla has introduced gorgeous baby dolls and dolls clothing just waiting to be cuddled and played with! The Blabla collection is designed by American-based mum Florence Wetterwald and handmade by a Peruvian women’s co-operative. Made from natural fibres grown in Peru, these are soft and colourful. There’s a range of skin tones, hair colours and genders, so perfect for boys or girls. I love the dolls on their own and they make a great special gift but to really spoil your little one there is a cute assortment of clothing too. Choose from dresses, tops, trousers, jumpers and even hats, which all can also be used to dress other little toys too! Classic Blabla dolls are US$46 and the clothing starts at US$12 online from Blabla. 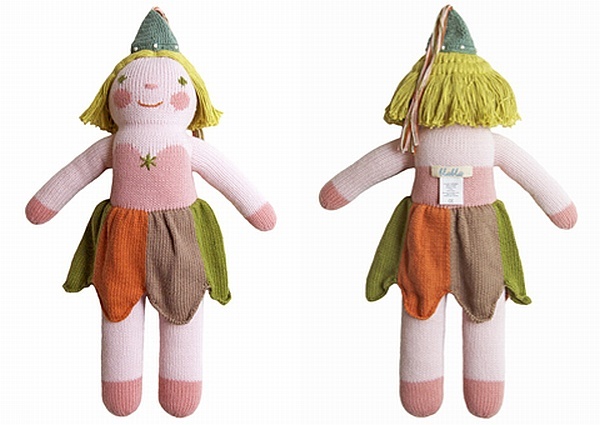 Or head to Australian stockist Mother & Co to find a great selection of these lovely dollies at $52.95.